The media often minimizes the potential harm connected with irresponsible social drinking. 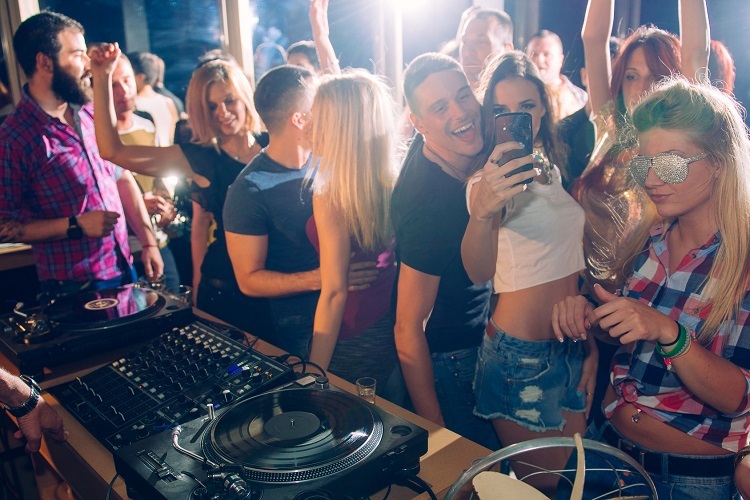 While many celebrities, pop idols, and public figures seemingly demonstrate drinking as commonplace fun, countless individuals are vulnerable to addiction, making poor choices while under the influence, unhealthy sexual experiences, engaging in domestic violence, and many other issues possibly set in play by alcohol consumption. Underage drinking is a problematic public health issue that is not always recognized. This includes alcohol use by persons under the age of 21 years. Alcohol is actually the most commonly abused drug among our youth today in the United States, more than that of tobacco or illicit drugs . Major consequences of underage drinking include potential damage to the developing brain, poor academic functioning, unsafe sexual practices, traffic accidents caused by drunk driving, and death. Youth who begin drinking before the age of 15 years are also five times more likely to develop alcohol dependence or abuse later in their lives compared to those who begin drinking at or after 21 years . In light of these concerns among our youth, approaches have been recommended and implemented by the Surgeon General, which have been shown to be effective in reducing the number of adolescents engaging in underage drinking. Strategies that have been helpful include routine screenings by physicians to identify underage drinking, restrictions on young drivers and firm license suspension policies, and greater collaborations between college campuses and the community. As reported by the National Institute on Alcohol Abuse and Alcoholism (NIAAA), implementing strategies such as these has played a significant role in the reduction of underage drinking. According to acting director of the NIAAA, Dr. Kenneth Warren, “The downward trend in underage drinking and alcohol-related traffic deaths indicates that certain policies and programs put into place at the federal, state, and local levels have had an impact.” Studies have shown slight declines in the number of adolescents that drink alcohol, with the number of 12th-grade students who consume alcohol dropping to 62 percent from 66.4 percent in 2013, and similar reductions seen among 8th and 10th grade students . Continued efforts are needed to prevent the number of young lives lost to the damaging effects of underage drinking. While progress has been made in this area, consequences continue to remain unsuitably high in our society. Raising awareness of this severe issue is also critical in monitoring the activities of youth and decreasing youth access to alcohol. This includes action on multiple levels, from immediate family units to our local communities to our nation as a whole. The youth of our nation deserve to be protected, strengthened, supported, and encouraged as they are raised in a culture that often targets their vulnerabilities. If you are concerned about a loved one in your life who may be drinking underage, check out the Addiction Hope Featured Treatment Centers Directory to seek out the help needed for recovery. Blog contributed by Jacquelyn Ekern, MS, LPC, President @ Eating Disorder Hope and Crystal Karges, MS, RD, Special Projects [email protected] Eating Disorder Hope. : U.S. Department of Health and Human Services. The Surgeon General’s Call to Action to Prevent and Reduce Underage Drinking. Rockville, MD: U.S. Department of Health and Human Services; 2007.
: Hingson RW, Heeren T, Winter MR. Age at drinking onset and alcohol dependence: age at onset, duration, and severity. Pediatrics 2006;160:739–746.